Today I'm sharing a few pictures from our California adventure a couple of weeks ago. My husband and I were out on the west coast to celebrate our 30th anniversary. 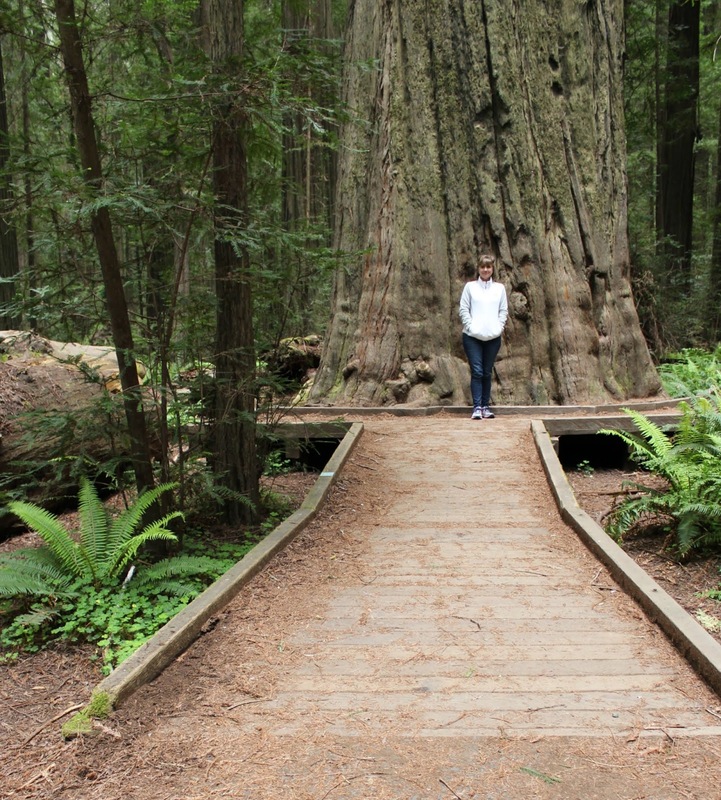 We considered many different options for this trip and in the end, we both just really wanted to see the redwoods. We flew to San Francisco then drove a couple of hours to Mendocino where we spent a day and a half soaking in the ocean views. Then we headed north up the winding coastal roads on Hwy 1 and Hwy 101 to Humboldt County where we spent part of our time in the Avenue of the Giants, Humboldt Redwoods State Park. I do not possess the photography skills (some of these were taken by phone) that could possibly convey to you how majestic these trees are. 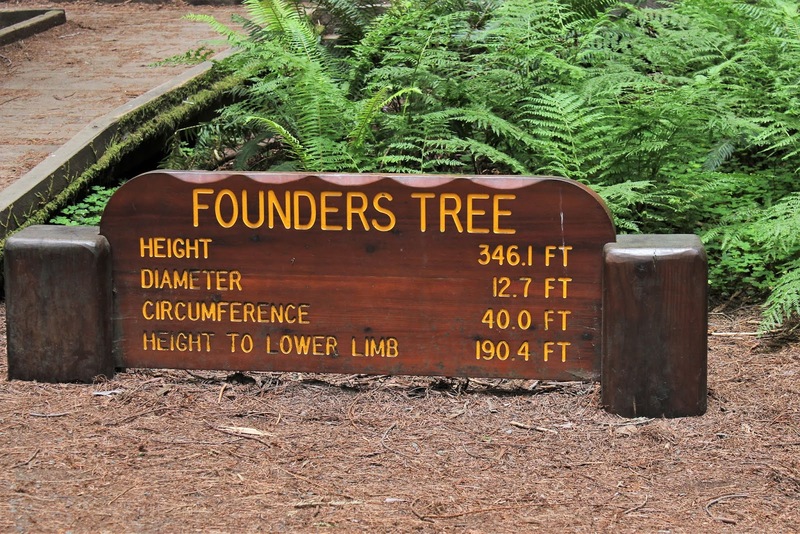 Can you imagine trees that are 300+ feet tall? My husband standing in front of a fallen tree. What you see are the roots! Can you believe that? 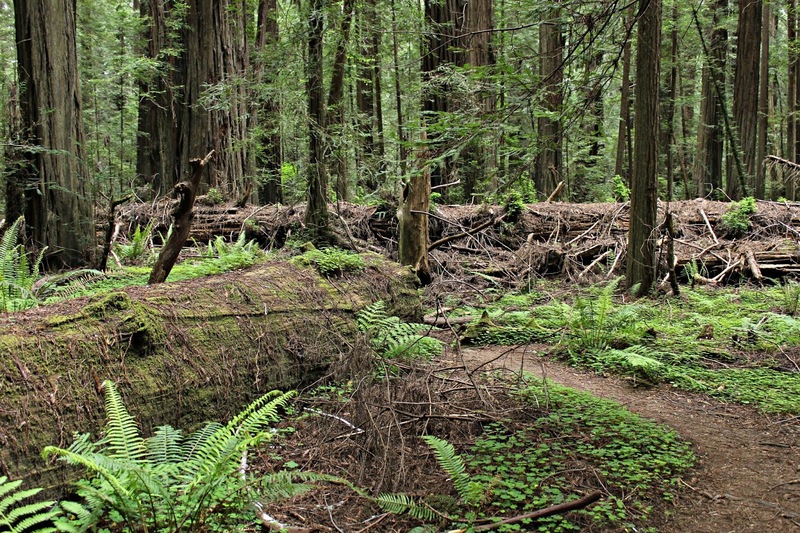 Apparently, redwoods have shallow roots that spread out far and wide to form a web together with other trees that hold them in place. There are actually quite a few fallen trees. When one falls due to too much rain or some other circumstance, it often brings down other trees with it. 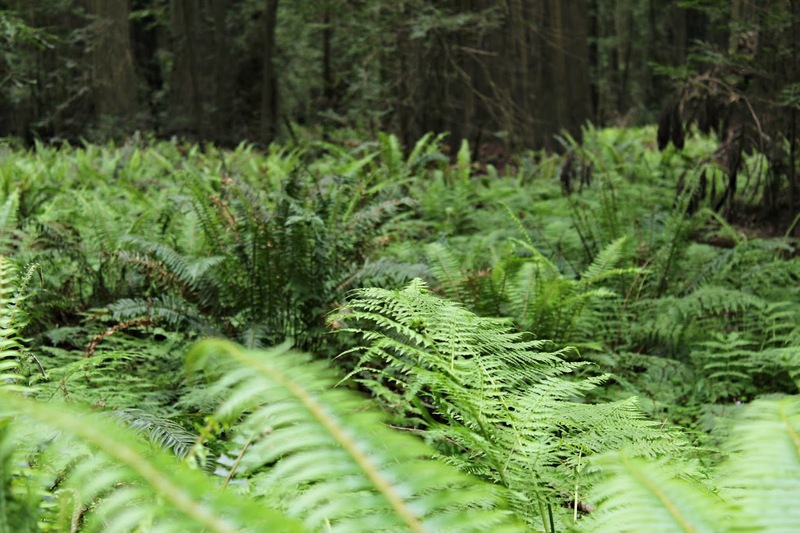 There are ferns galore growing on the forest floor. We were mesmerized by the different textures and unfurling fronds of the ferns. The photo below is me in front of the Founder's Tree in Founder's Grove. We walked and walked through the woods soaking in the quiet and the earthy smells. The paths are well marked and easy to maneuver. You do not have to be a serious hiker to enjoy the surroundings. The fallen tree below is the Dyerville Giant and was the largest at one time. When it fell in 1992, the shaking of the earth registered on seismographs. This tree was 362 feet tall and 51 feet around! You can see that even on the floor of the forest, the tree provides life. There are hundreds of ferns, lichens, and other plant materials growing on the wood of the nurse logs. The temps were in the upper 50s while we were there so we were thankful for our jackets. Luckily, it wasn't crowded at all but the few people we did speak to people from all over the world. We loved our time in this magical place and will definitely go again. Have you visited the places you've dreamed of? I'd love to hear about it! If you missed the post on the flowers we saw in Northern California you can click here. First, happy anniversary! My husband and I almost always plan a trip around on our anniversary in Sept. We were in California on our 30th a few years back too, including Mendocino and Ave of Giants! We loved it. So quiet and at times just us alone in the woods. And the wonderful smells. I have pix too of almost all the same places as u! Thank you for taking me back. One funny thing, we did the tacky drive through the tree, did u? Well our rental car almost got stuck! My husband is still mad at himself for spending $10 on a racket LOL. Happy anniversary! What a beautiful place! How amazing it must have been to see those giants! Wow, these trees are ginormous! If we ever get to CA again, we'll have to rent a car and drive around to see more sites than just San Francisco! How beautiful! And so nice to explore a place without the heat of Texas! Beautiful! When we were in California years ago we saw some baby redwoods. We did not get far enough north to see the huge ones. What a magical place! I am so happy that you were able to take this trip and see the beauty of California. We lived in Mission Viejo years ago and of course Amanda and Preston lived in Sacramento. So many scenic sights in the West. Great post Stacey! This is on my bucket list to see this beautiful part of nature. It is amazing how huge these redwoods are. Happy Anniversary. So happy you had such a good trip. Stacey, how majestic are the redwoods! I loved seeing them through your camera lens. Wow, that is amazing that the falling tree registered on the seismograph! 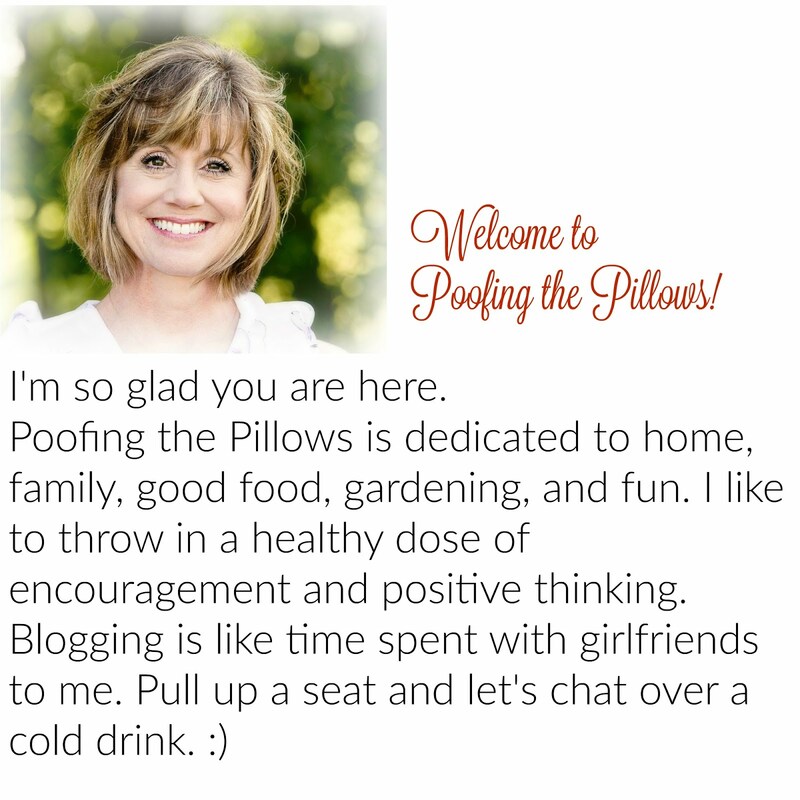 Thank you for linking with Gardens Galore and Happy Gardening! What an amazing place to hike...it must feel like an enchanted forest! I would love to visit that area and see those majestic trees. You took some great photos and it helps to get in there with them to give us some perspective! I know you are tiny...but you REALLY are tiny in front of that tree. I've walked on the beach looking out at the ocean and that was my dream come true. Enjoy your week! Hugs! I know we don't know each other very well, so if what i say offends you please let me know. When i look at nature like this it puts me in awe of how wonderful God truly is. It is a great place to visit and thanks for these pictures. 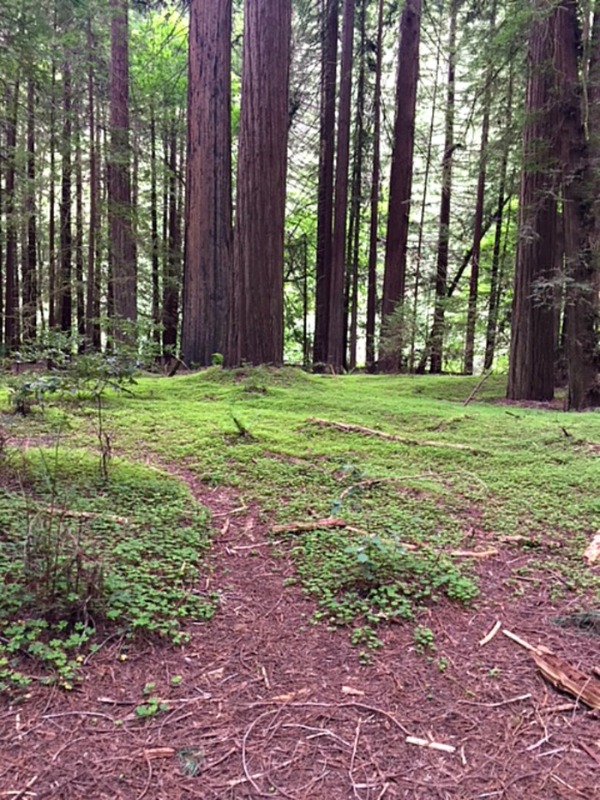 Love your photos of the Redwoods...you captured their majesty. Lovely post. I wanted to go there when we were out west but it was too far. The atmosphere and different smells must be amazing. What a great trip. I love your photos because I have not been in that area . That Founders tree is spectacular! How awesome God's creation is ! Stacey, first of all Happy anniversary! And what a great way to celebrate it! I love your pictures and reading this post, I'm planning a trip to San Francisco this Summer.😀 It's going to be our first time visiting the west coast and even though San Francisco has tons to see and do, going up and down California is something I really want to do. So, yeah, I'm taking notes. 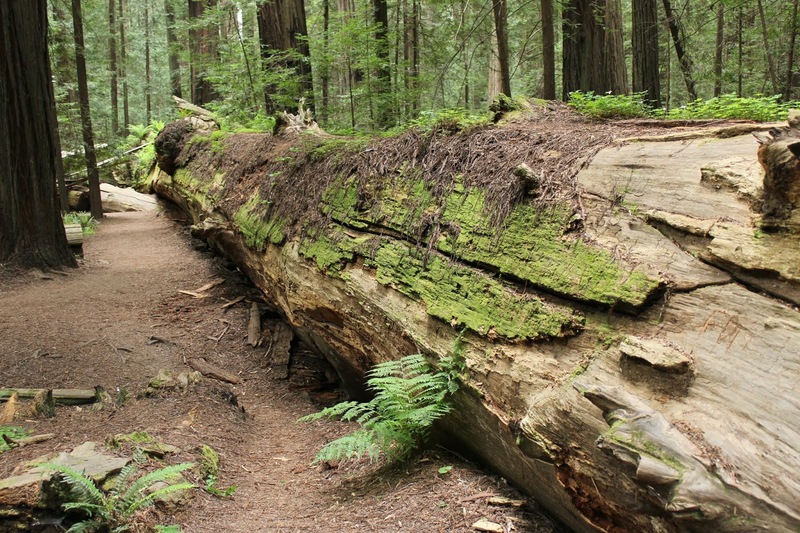 Visiting the Humboldt Redwoods State Park is now on my list. Your photos are actually very impressive, Stacey. They give a wonderful idea of the majesty of the forest. However, that picture of your husband in front of the roots? Wow. Outstanding. That one really says it all. I think you should frame it and hang it up as a reminder of your fabulous anniversary trip! 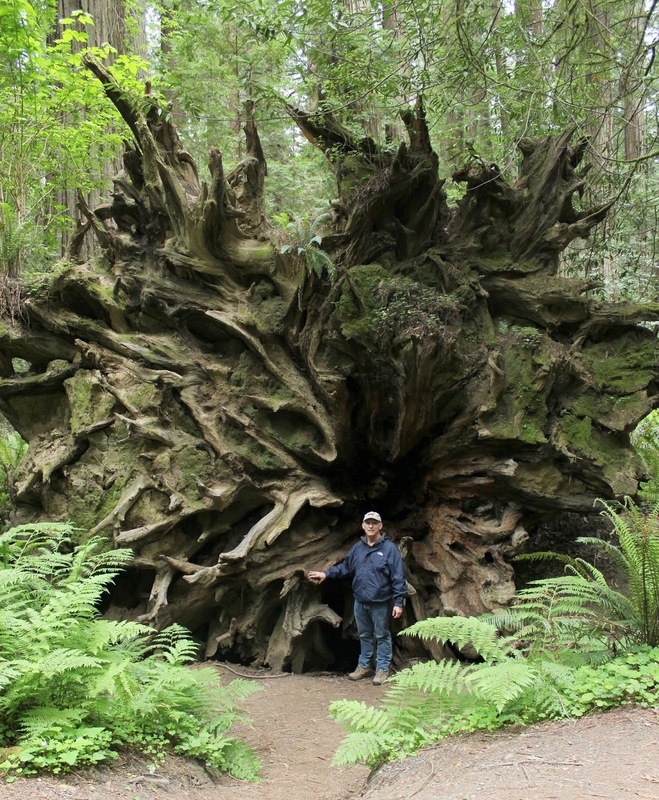 Wow -- the photo of your husband by the tree roots took my breath away. (Oh, and he's cute, too!) What magnificent trees. I am in awe. What a nice way to spend your anniversary! It is hard to imagine just how huge those trees are but the one of your husband surely helps. Wow! Wow, what dramatic photos! LOVE the beautiful trees, and your pretty face! It looks like y'all had a great trip! Happy Anniversary to you two cuties! I think your photos are wonderful. Hubby and I love seeing things like this. glad you had a fun trip! Great trip, Stacey! We visited the Muir Woods on a trip to CA several years ago. It's an absolutely amazing site to see those redwoods! I bet you enjoyed the cool temps on that trip - a sharp contrast to the TX heat. Hi Stacey, what a great way to celebrate your anniversary. What a great trip the two of you will remember for years to come. We did that same trip to CA and the redwoods a few years ago and we loved it. Thanks for sharing the wonderful photos with us all. Enjoy the weekend.